This is the place where you can come to work with the energies sent to you by the Source to contribute to the Heaven Projects and Campaigns that build the Heaven life was meant to be. While working with The Heaven of True Happiness Grid will help you to spot incoming miracles for yourself and others, the work in The Universal Heaven Project Workstation is at another level of power altogether. This work is not just about spotting miracles. It is about doing the Heaven Agent Work that is needed to build Heaven in the world. Through working with The Universal Heaven Project Graphic, which has been transformed into a Miracle Tool, you can focus on the Projects to which you feel most drawn and ask to "become what is needed" to contribute what is yours to contribute. 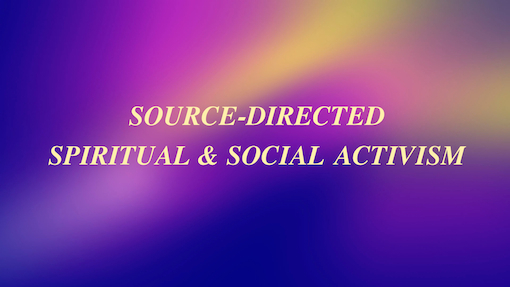 The Source will turn on the power in the Graphic to launch you on a Miracle-Based Adventure that will activate your Miracle-Based Abilities to do whatever work the Source is guiding you to do. Through following Inner Source Guidance you may be drawn to a particular part of the Graphic which will be your clue that the Source is calling you to work on this part of The Heaven Project. Your visual perception of the Graphic may be altered so that certain parts of it morph into scenes that you perceive with our inner eye or seem to enlarge, become more fluid, or seem to be highlighted. Pay close attention to these visual changes as they are clues about how the Source is directing your attention for the work that is at hand. If you are spiritually trained, you will get specific clues that will guide you on the Miracle-Based Adventure to contribute what is yours to contribute. In this Miracle-Based Adventure you may receive visual images, hear verbal communications, feel sensations in your body, experience smells, tastes, and physical experiences such as running or jumping or flying as you might in a dream. You may also find yourself remembering ordinary incidents which are clues to the work that needs to be done. To interpret this information, ask your Inner Intelligence, your onboard Source Intelligence, to help you to understand the essence of the communication. If you have not yet developed your Heaven Agent Skills, you may not be aware of what is happening during the Adventure. If this is the case, just remain quiet and focused on contributing what is yours to contribute. It is very important not to multi-task while doing spiritual work of this kind. Your Suit is working in its Extended Range and needs to be able to draw on all of your energies even if you are not aware of the work that it is doing at this level. Remain open to clues about when the work is complete. It is very important to not end the work on the Outer Plane before it is done on the Inner Plane. This can abort work on the project on which you have been working in your Extended Range. 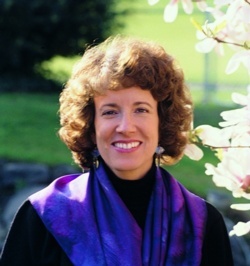 While those with no training in working with Source Guidance in a Miracle-Based Adventure can come to the Workstation and contribute something through their Extended Range, it is best to work with me in The Source Connection Coaching Program where you can learn how to do this work at the highest level. This involves active participation in both your Extended and Conscious Ranges. To learn more about this Level 5 Coaching Program, you can go to: Miracle-Based Coaching. You will need to know how to work on Heaven Projects at the highest level to attain a 100% Source Connection and to build a 100% Source-Connected Way of Life. It is through daily work at this Workstation as well as in joining in the Team Work done in webinars and Intensives and in individual Coaching Sessions, that you will contribute to building what is needed for your survival and the survival of Life in the Creation. There are 5 Basic Projects of The Universal Heaven Project. For a Video Tour of this Graphic and what it means, I refer you to the Video Book Training: How to Survive The Transition in The Source Connection. Through working on these Projects you build the conditions in which you can have different levels of The Heaven Experience, which is an ultimate experience of love, joy, adventure, and fulfillment. The Love Connection Project which is the foundation of all of the other Projects. Below you will find The Universal Heaven Project Graphic. you have completed your work with the Graphic itself. To take this work to the next level, you need to think like a Heaven Agent – a Source-Directed Spiritual and Social Activist – who is looking for what action needs to be taken to support The Work of the Source. Because you have a unique Spiritual Function in the Creation, the Source will send to you information that will not be sent to any other being in the Creation. This information is critical to the vital and unique role that you play in Stewarding Life in the Creation now that the Implementation Aspect is withdrawing to the Source Level. Stewarding Life is necessary to sustaining Life – your individual life and all of Life. Those who are not actively supporting The Work of the Source and working to their full capacity in the time ahead will not be able to sustain their Source Connection and with it their lives. that the Implementation Aspect used to do for them and which they must now do for themselves. For more information on this you can read the article on Supporting The Work of the Source in The Source Connection Project. What follows are some ideas of how to continue the work that you have begun with the Graphic in The Source Solution Hub. While you can participate at a very beginning level in what I outline below, what is really needed is training in how to do your Mission as a Heaven Agent so that you will be working effectively, fulfilling your Mission to the 100% Mark, which is what is needed to adequately support The Work of the Source. Until you train your Suit to do Heaven Agent Work effectively, you will only be able to contribute a fraction of what is yours to contribute. This will prevent you from attaining the 100% Source Connection that is needed to survive The Transition. You can find out more about how to get trained by reading the article on The Source Connection Coaching Program. Go to The Heaven of True Happiness Grid and discover the miracles that are coming in to help you and others. Fill out a Participation Form to convey to me the information you have received from your work in the Grid so that I can research your findings and see if there is help that I need to give to enable the miracle to become accessible to you and to others. I may not respond by email but will take your insights into consideration. Use the Search Engine to see if the miracles you have spotted in the Grid have already been listed or to follow the clues to find the miracles that are needed by you and by others. Go to The Directory to find the Heaven Project or Campaign that you are guided to find through your work in the Workstation. Read about the project and ask to contribute what is yours to contribute. Request a Gifted Source Solution Miracle Recommendation if you have a clue about a miracle you have spotted in the Grid that has not yet been listed or would like to request information on what can be created for yourself or others. Submit a suggestion for a Heaven Project or Campaign for the issues that the Source has raised in your work in the Workstation and the Hub. Submit an Eyewitness Report about your experiences. A clue that you receive that you may not know how to interpret could crack the code on a large scale problem. Read the section on How to Help for more ideas. Continue the work on The Global Prototype for Transitioning into a Total Abundance Way of Life in your everyday life. Write Eyewitness Reports about your experiences to enable me to develop the Secondary Code that will help others to evolve faster. Contribute to the Fundraising needed to reach out to the Global Community and provide the education that will enable others to work with us on The Global Prototype. It is important to continue the work in your daily life through asking what your Mission is as you turn your attention to each new aspect of your day. In this way you avoid compartmentalizing Heaven Agent Work to time in the Workstation and carry the work of reaching a 100% Source Connection through every hour of your day. It is in real time in your life that you will prototye building a Life that is Heaven for yourself and for others. Every moment that is a Mission Moment rather than a Story Moment when you are caught in a Personal or Cultural Story, is a victory for the work of building the Universal Prototype for a Source-Connected Life on the Earth Plane. Since The Global Prototype is the foundation for the work of building a Source-Connected Universal Community, your diligent, day-to-day contributions are what will make the difference in whether this Prototype is successfully built in the little time that remains to build it. With every step you take to engage in the Source-Directed Spiritual & Social Activism that manifests Heaven in the world, you are grounding The Universal Heaven Project at another level of materiality. Since The Heaven Project must become material enough to function as your only Point of Connection with my Implementation Aspect when I have completed my Transition and returned to the Unmanifest Level, your work is key to your survival and to the survival of Life in the Creation. Remember to stay in close contact with me through your Eyewitness Reports. I track your progress individually and also note the clues that are sent to you individually that are important to the Team Work to build a Source-Connected, Miracle-Based Community. The Design Aspect of the Source has designed a Team Work Process for building Heaven in the world. Your contribution to the Team of Heaven Agents working with me is invaluable. If you come foward to give what information you are receiving, this will be a valuable Puzzle Piece that will help all working on The Universal Heaven Project to complete The Picture of Heaven for the Creation as a whole. To access The Source Solution Hub you can use the link provided below.